So that the reader avoid any unnecessary questions, let me remind you that under the same designation at different times was hiding two more cars. This fighter plane Ilyushin engine M-34 and later the plane M. pashinina with the engine M-105. Both of these machines remained in the category of experienced. Tell that basis And-21 Pashinin became a preliminary draft of the aircraft with reciprocating radial engines, development of which began in the Lavochkin design Bureau. But by that time there were domestic turbojet TR-1, differing from the captured “BMW” and “YuMO” greater traction. It and decided to install engineered car. 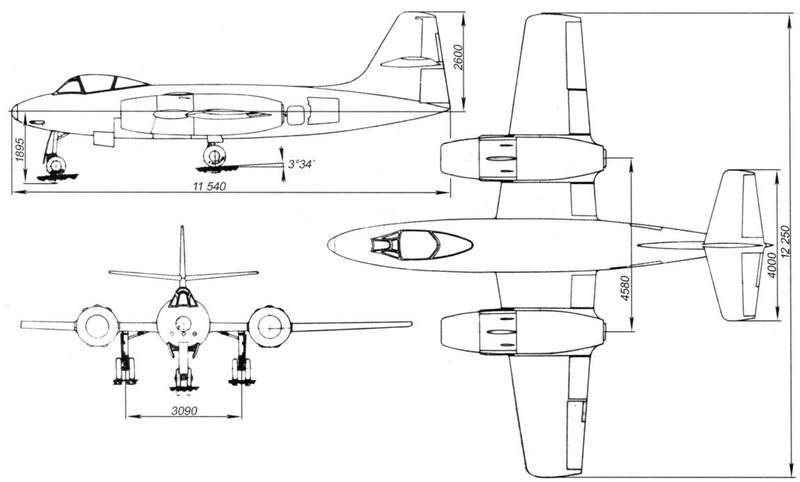 Single-seat fighter-interceptor with a pressurized cabin, the design Bureau of the Gorky aircraft plant was designed for round-the-clock combat enemy bombers. Its development formally began on 26 October 1946, after the signing of the decree of the Ministry of aviation industry № 699сс. According to the task plane with two engines A. M. Lyulka TR-1 And the estimated thrust of 1500 kgs each had to develop the maximum speed of the earth 980 km/h and at an altitude of 5000 meters – 970 km/h flying on the most advantageous mode to a distance of 2200 km, and with additional drop tanks – 3000 km. the service ceiling was set not lower than 13 000 meters, and the ascent to this height – 16 minutes. Originally envisaged two options of weapons. The first of these – gun, 37 mm ammunition, 35 rounds and two 23-mm guns with ammunition 75 rounds per gun, while the second – three 37-mm guns with a total capacity of 105 rounds. But in November 1947, the machine requirements have changed. Maximum speed at altitude of 5000 meters asked at least 970 km/h, range 2000 km, with drop tanks and takeoff with boosters – 2800 km. The first copy machine was required to present at flight testing on 15 September 1947. After approval of the project by the customer, on 28 November 1946, the air force Commission adopted the model of the machine. The rate of the interceptor was very high, and by the end of the year ended with the release of his drawings. The first prototype of the machine, the designation of I-211, was built with three cannons N-37. In addition to the specified version of the weapons, designers have provided (overload) up to eight turbojet (stabilized by rotation around the longitudinal axis) of the shells TRS-82. Features of the plane was the brake pads with an area of 1.2 m2 , and managed stabilizer. Factory flight testing began in Gorky 5 September 1947 with the TR-1 engine due to the lack of TR-1A. The first departure to landing the fault of the pilot broke the front landing gear. After repair the aircraft was transferred to the airport LII to continue the factory test, but they did not last long. The reason for this was the emergence in the Soviet Union, a British turbojet engine with centrifugal compressor “NIN” and “Derwent V”.These engines, despite their large diameter, featuring a large thrust, high resource were more reliable and economical. After reactive firstborn of OKB-21 under the leadership Alekseev developed the double (pilot and gunner were located back on the flight) interceptor And a-212. Aircraft equipped with engines RD-45F thrust 2270 kgf with the prospect of replacing them with VK-1A. Features, the radar “Thorium-1”, was his armament of 37mm cannon and two guns caliber 23 mm in the nose of the fuselage, two remote-controlled 23 mm cannons to protect the rear hemisphere. The latter, apparently, was made in connection with the intended use of the machine as a bomber. The plane was built in 1948 and had his factory tests. Test pilot A. A. Popov to the closing of the OKB a chance to perform on the car just for taxiing and Jogging. The second version of the fighter, And-212 retains the scheme of the predecessor, but had a large size. So the area of the wing has increased by almost 1.3 times. 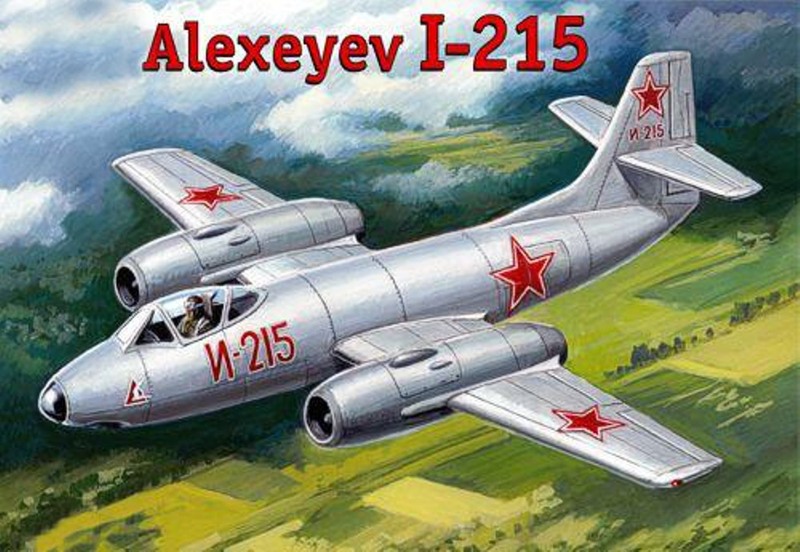 On the basis of I-212 were offered a double plane And a-214, but they remained on paper. 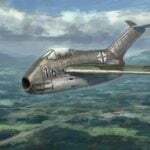 The next project was the fighter I-215. In comparison with the I-211, on the new machine in addition to the propulsion engines “Derwent” V reduced the area of the rudder and Elevator mounted trimmer, control of the ailerons and flaps made of tough, reinforced doors and flaps, landing gear, and hatch weapons. Also found hydraulic lifts and sash locks on the front landing gear and electric control, hydraulic brake valve flaps. Strengthened and weapons. Now it consisted of three 37-mm guns 120П (N-37) ammunition for 35 cartridges (cartridge box contained 40 rounds) on the trunk and mounted under the cockpit. Under the nacelles provided for the suspension of the two bombs caliber up to 250 kg or additional fuel tanks. For shooting and bombing used sight AP-1M. 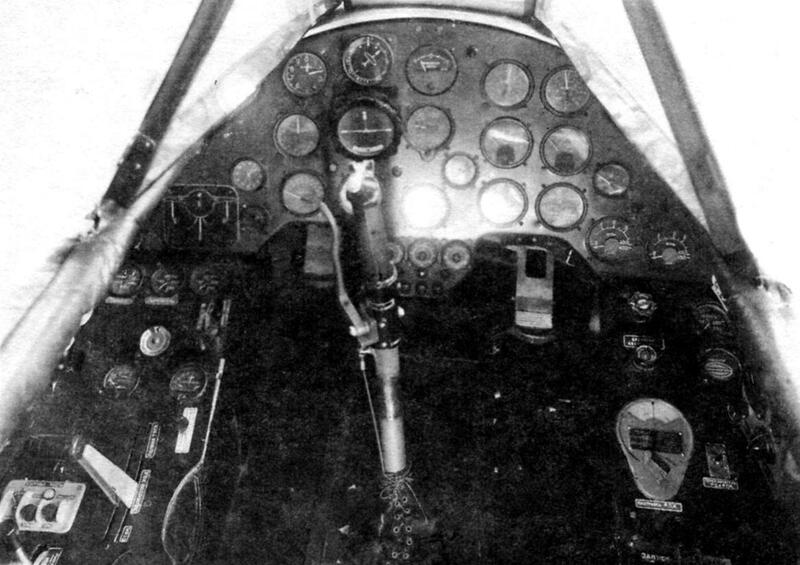 The armor protection of aircraft consisted of the front and side of the bulletproof glass of the cockpit canopy with a thickness of 60 mm and 30 mm respectively, the front and rear bro-naplic and headrest with a thickness of 8 mm. The equipment included radio RCI-6, radiolucent with timer, RPKO-10M. Planned installation of the radar “Thorium” (instead temporarily installed floodlight), and the defendant “friend or foe” MF-3, but did not. In spite of modifications, the plane, due to lighter engines, better to 560 kg. Flight tests of the factory (leading engineer V. J. Spurges and the pilot S. N. Fishermen) began on 18 April and ended on 20 June 1948. Has complied with 26 flights. The plane flew With N. Anokhin, M. L. gallay and A. A. Efimov. For reviews of pilot Rybakov, And-215 “for its aerobatic qualities simple. Placement of instruments and levers of the aircraft and units simple and convenient. The cabin is spacious and comfortable, good review. Taxiing the aircraft is docile; good resistance direction, the brakes are effective. The gap is smooth, the climb, the aircraft tends to pitch up, the load on the handle of the pilot is approximately 2 kg. In level flight the aircraft is stable at medium speeds, high loads of the ailerons, about 8 – 10 kg, at maximum speed the load is reduced to about 4 – 5 kg. Large loads of the ailerons due to the fact that on the trailing edge of the ailerons work-hardened metal plate. Load on the handle and the pedals from the rudder pitch and direction small. Loads of the elevators are easily removed with a trimmer and a controllable stabilizer, the loads from the rudder removed with a trimmer. At maximum speed the aircraft is stable, load straight. On bends the aircraft is stable, when you drag (pen. – Approx. author) prevents the rocking of the entire structure. With abandoned control the plane quite stable. Brake pads at various speeds and create very effective Cabriole moment. When the landing gear hydraulic system works somewhat slowly. Planning the aircraft is stable, landing is simple and stands a good direction when you run”. After of I-215 was built by his understudy – AND-215Д, which involves the installation of radar and three 37-mm cannons N-3 caliber 57 mm. But this machine tests in connection with the appointment of S. M. Alekseeva from September 1, 1948, to the post of chief designer of OKB-1 is not reached. On the plane I remembered when, under the guidance of an internee of the German design B. Baade began the development of a bomber project of “150” from the bike chassis. AND-215Д turned into a flying laboratory, replacing conventional tricycle landing gear – Bicycle. The redesign of the chassis, apparently, performed at the factory in Gorky, as in October 1949 I. E. Fedorov overtaken car No. 21 to the airfield barge with a stopover in Zhukovsky. While Ivan Evgrafovich demonstrated over the airfield aerobatics with deep bends and, to the amazement of the audience at one point, famously drove through the mud and puddles, doing sharp turns in a car with an unusual chassis. Feature off on the I-215Д was that after reaching the speed of separation machine squatted on the rear prop (it did offer Baade), increasing the angle of attack of 3 degrees, and not applying force to the aircraft control stick, she broke away from the runway. 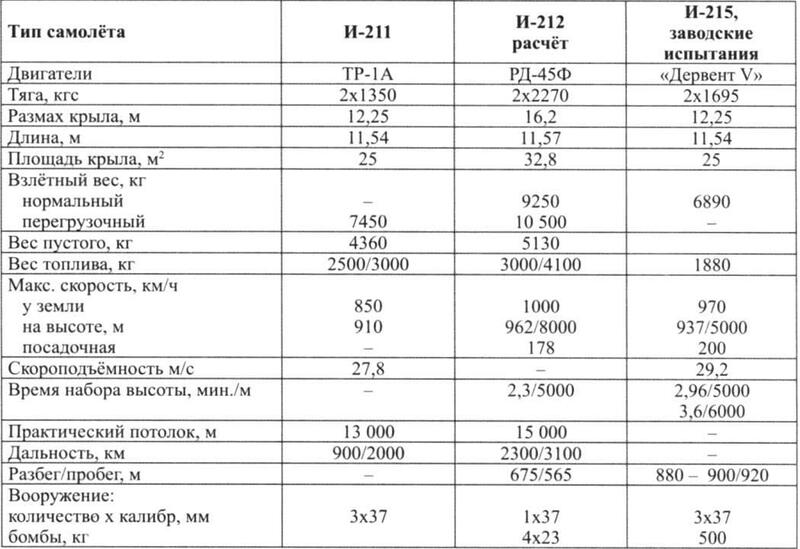 What is the fate of I-215, has not yet been set, but we know that extreme project Alekseeva was a fighter-216 with two 75-mm guns, and the rest of the paper. 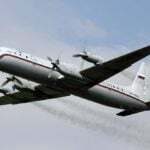 To sum up, it should be noted that aircraft designed under the leadership of S. M. Alekseyev in the late 1940s, the years, its basic data has significantly surpassed the competition. But they were not destined to come to the defense of the Fatherland.